Deepsessions returns from a short two weeks break with their 227th overall release. 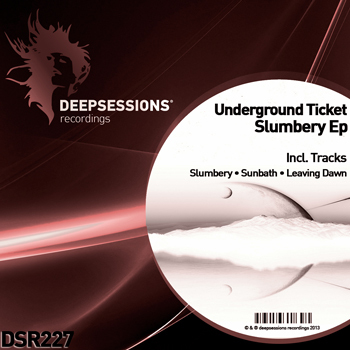 Hungarian producer Underground Ticket makes his debut on the label with a 3 track EP entitled “ Slumbery’. Underground Ticket’s past releases on Taux and VectoRecords 2.0 have been very cool and the 3 tracks he’s delivered for Deepsessions are most likely his best to date. The title track is a dark groover with some cool vocal gates and a nice galloping arp that’s going to be great on dance floor. The second piece “Sunbath” is a more melodic and atmospheric production with nice bassy chord changes and some very cool vocal samples. The EP is closed out with the more percussive sounding “Leaving Dawn’. It comes with some nice musicality and a smooth laid back vibe that’s going to be great for the back rooms out there. 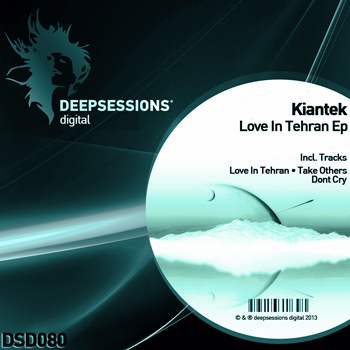 3 cool tracks and another great artist discovery from Deepsessions.